Post sponsored by Zappos. All opinions are my own. Photos: Ruthanne Zouboukos. Living in the mountains lends itself to a very specific kind of style, and if I'm being honest, sometimes requires a bit of intentionality as it's all too easy to end up in snow pants and a beanie everyday. Staying fashionable in Tahoe in the wintertime demands functional clothing and footwear (warmth being the key factor) while not losing your individuality in the process. Thankfully, this blend of fashion and function melds perfectly with UGG. I recently ordered a few styles through Zappos, and they've been my go-to as temps dip lower and winter approaches fast! I'm proud to be working with Zappos this holiday season to spread the word about their incredible customer service, 365-day return policy, and fast, free shipping! Online shopping is a staple each year in my holiday routine, and Zappos always makes the process so easy and enjoyable. They offer dozens of UGG options — my favorites for this holiday season are the Viki Waterproof boots (perfect for snow), the UGG Classic Cuff Short Boots in Red Clay (my day-to-day staple) and the UGG Hafnir Slippers (not sure I've ever received so many compliments on a pair of slippers before!). 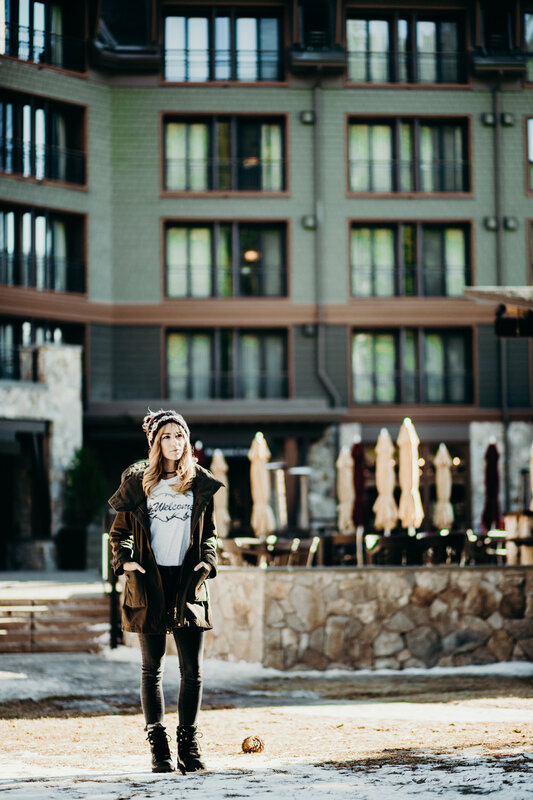 My dear friend Ruthanne recently shot these photos of me loving on my new UGG boots at the Ritz Carlton Lake Tahoe. If you're coming through town this winter, there's no better place for a cocktail and artisanal s'more... trust me, it doesn't get more winter wonderland than this. If you're looking for the perfect Christmas gift for the winter-loving fashionista in your life, or just want to treat yourself, I highly recommend perusing Zappos for a fresh pair of mountain chic UGG boots!